J&P Cycles released information this week regarding how they will implement some big changes in an effort to make their customer service even better. The changes will, over time, impact the location of retail and warehousing operations currently in Anamosa; plans call for the J&P Cycles warehouse to move to Louisville, Kentucky, the administrative offices to move to Texas, and call center operations will move to Daytona Beach, Florida. The nice showroom now in Anamosa might stay or get relocated. 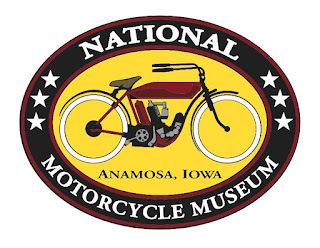 Since the National Motorcycle Museum is an entirely separate 501(c)3 corporation, completely separate from J&P Cycles, and there has never been any corporate management relationship between it and the Museum, these changes do not impact the Museum. If you have donated or loaned motorcycles, they will still be at the Museum, in Anamosa, Iowa, and the Museum will be open daily, year around. The Museum and J&P Cycles do promote each other in their respective marketing work, and with J&P Cycles' reach to over a million customers, it has been, and we trust will continue to be a helpful marketing partner for the Museum. Said John Parham, Founder of J&P Cycles, and President of the Board of Directors of the National Motorcycle Museum, "While I know that improving customer service is important to hold a strong position in the market, and with the internet, people want everything now, it is painful to see the company that Jill and I built here in Anamosa, move its headquarters. Having retired from the company a few years ago we wish the employees and the leadership, including our son Zach who serves as Vice President/General Manager all the best, continued success and growth. And I must say we are very grateful for all of you who continue to lend your support to the National Motorcycle Museum."